Ah, dessert! It's the grand finale and perfectly sweet way to end a meal! CooksRecipes has hundreds of quality, kitchen-tested recipes for fabulous desserts that you can count on for succesful deliciousness. Move over strawberries! 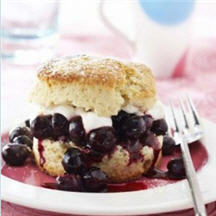 Plump, juicy blueberries take center stage in this simple shortcake dessert. 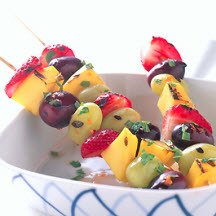 No need to turn on the oven to make this great summer dessert! 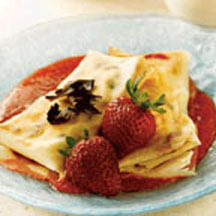 These elegant chocolate chip and strawberry crêpes are served topped with a strawberry-Grand Marnier sauce and fresh sliced strawberries.